From riding with your friends, going on day long adventures, or participating in century rides, the Orbea Avant H40 has you covered. Take your riding to the next level with a true road bike. Built around a hydroformed triple butted aluminum frame, carbon fiber fork, and 10-speed Shimano Tiagra groupset, the Orbea Avant will make you fall in love with the sport of road cycling. The H40 was built to be durable, stiff, and light. Every tube has been manipulated to enhance strength, reduce flex, and dampen vibration. Hydroformed tubing allows low stress areas to be thinner while still retaining the same strength and stiffness. Every tube diameter, shape, and thickness is intentional to create a truly amazing bike. 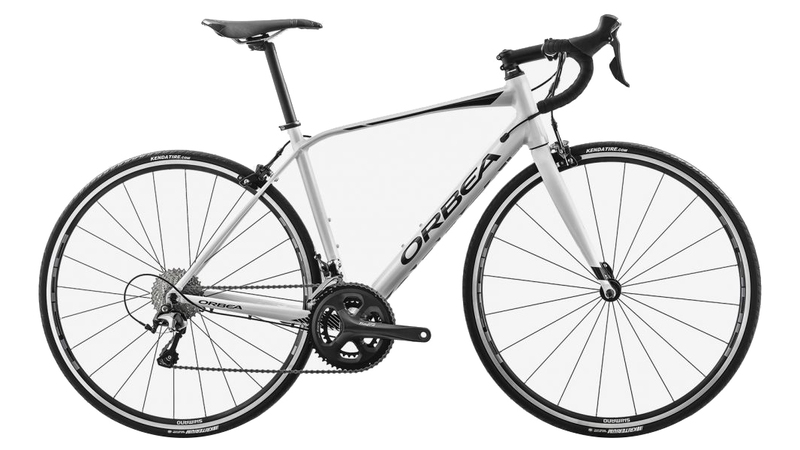 Orbea knew that riders of the Avant are passionate cyclists who enjoy an ergonomically comfortable bike, so they created a design focused around conserving energy and increasing comfort over long rides. Features like the long headtube brings the handlebars higher and closer creating a bike that is more focused on endurance instead of racing. The upright body position allows for lasting comfort and power efficient pedaling. Orbea’s unique sizing system is implemented into the Avant. Sizing is more focused on stack and reach instead of the traditional top tube measurement. Stack and reach is a more truthful and universal measurement as it defines the body’s two contact points with the bike. Stack is the vertical distance from the middle of the bottom bracket to the top of the headtube and reach is the horizontal distance between those same two points. These two measurements accurately depict what your body position on the bike will look like. Orbea’s sizing system allows them to accommodate a wider range of riders who are not only looking for a specific fit, but a specific body position. Does this come with 105?